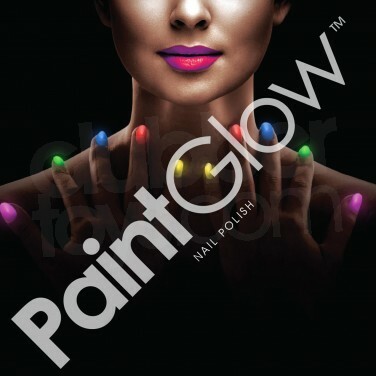 Add a splash of colour to your party look with vibrant neon nails that glow in the dark! Create the ultimate nail envy with super hot nails that glow in the dark! 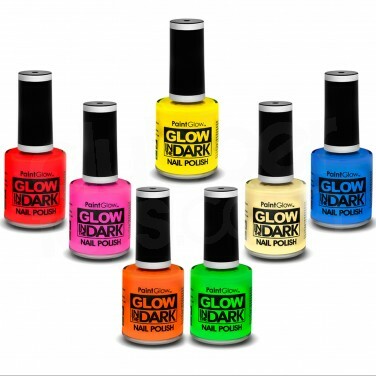 Glow in the dark nail polish comes in 7 neon colours that glow in the dark too. Apply multiple layers of colour for best effects and enjoy hot neon nails that are guaranteed to be noticed, even in the dark! Allow nails to charge in the light and view in pitch black conditions for best effects, or supercharge under UV party light for the ultimate glow! Sparkle and glow all night long in hot neon colour and sparkling glitter! Complete your party look with added sparkle and a fun glow!